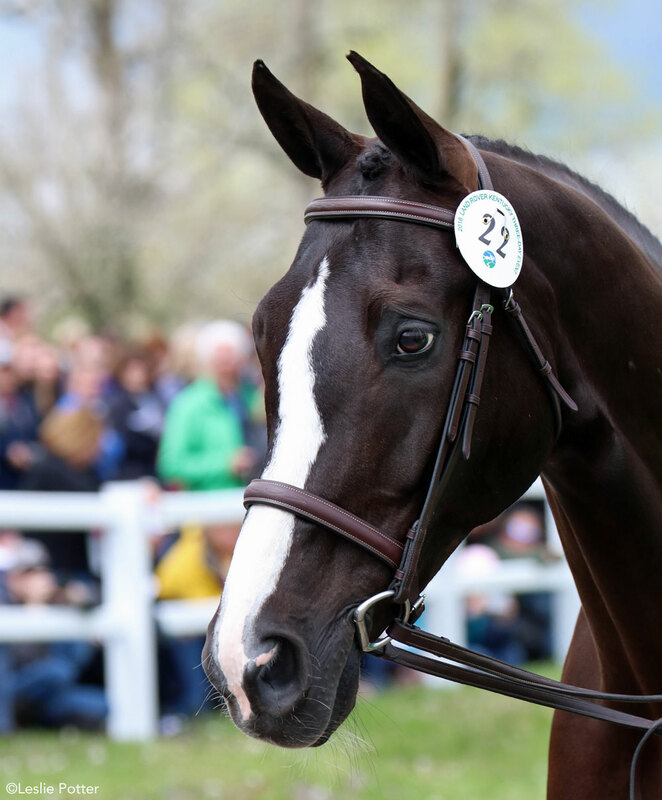 A total of 46 horses will compete at this year’s edition of America’s most prestigious eventing competition. 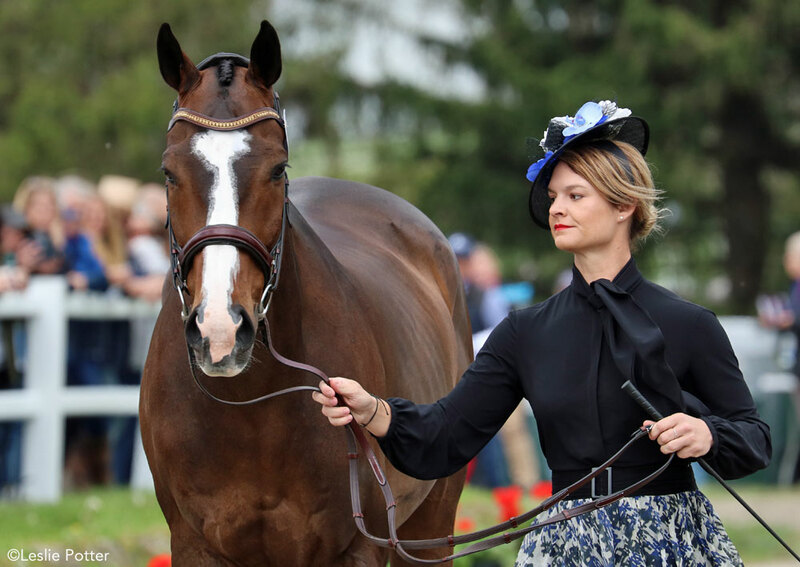 This year’s Kentucky Three-Day Event kicked off with a new title sponsor in Land Rover, but it was the same anticipation and excitement that spectators are used to as horses were presented in the trot-up. 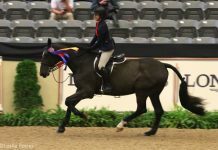 Kentucky-based Allie Knowles and Sound Prospect are back again to compete at the top level close to home. 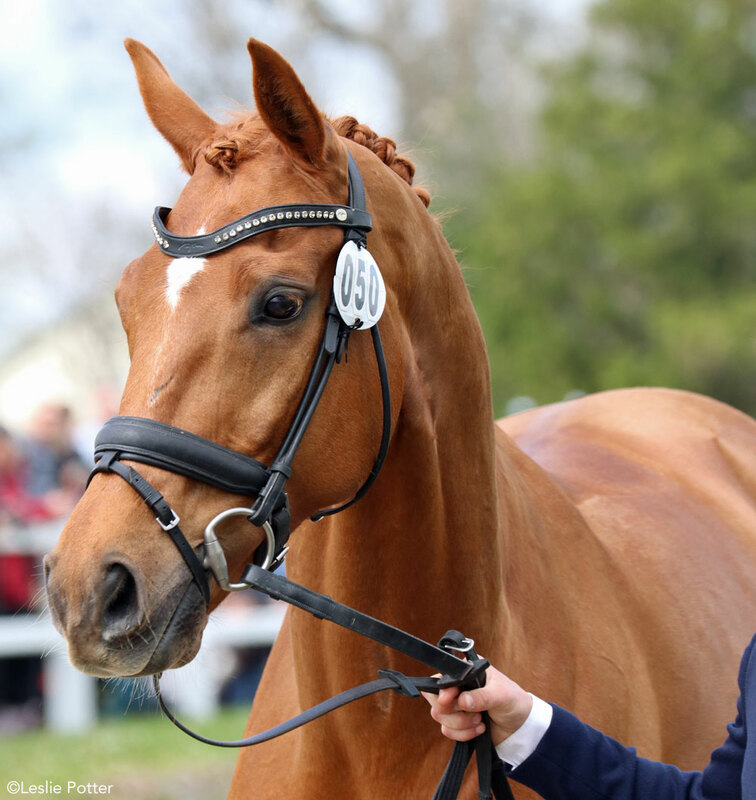 The first horse inspection is a chance for the veterinary crew to assess the equine athletes to determine if they’re sound for the tasks ahead of them. 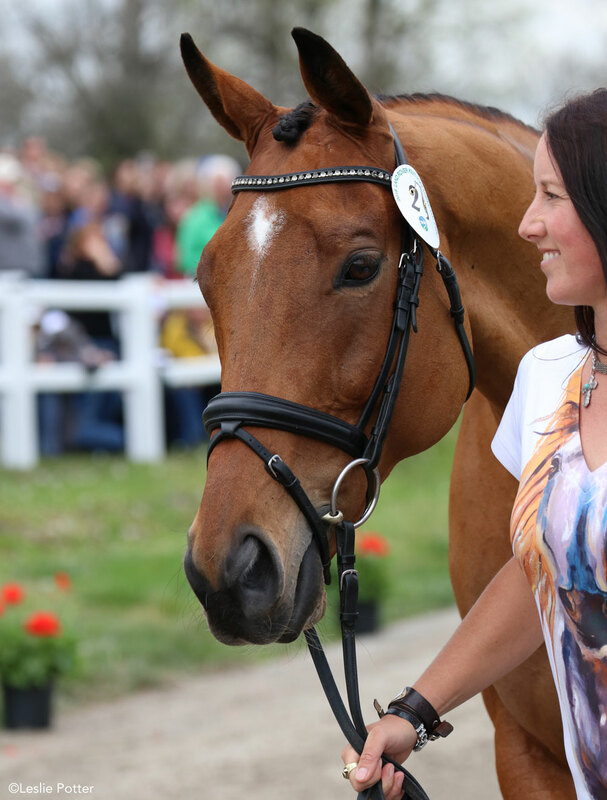 It was a bit of a roller coaster as the ground jury held a total of seven horses for re-inspection. 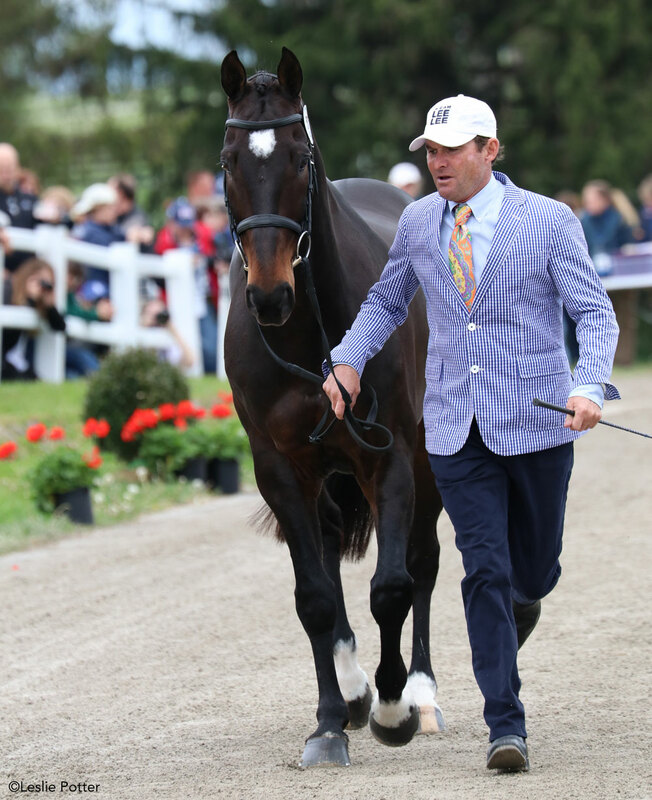 Joe Meyer of New Zealand opted to withdraw his horse, Johnny Royale, after being held. 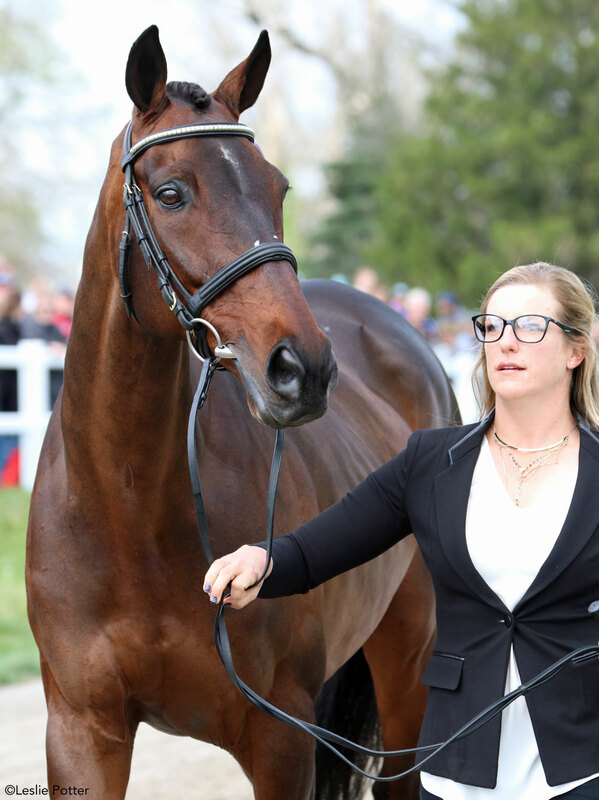 Erin Sylvester’s horse, Mettraise, did not pass after the second inspection. Fortunately, both riders are still in the competition with other mounts. 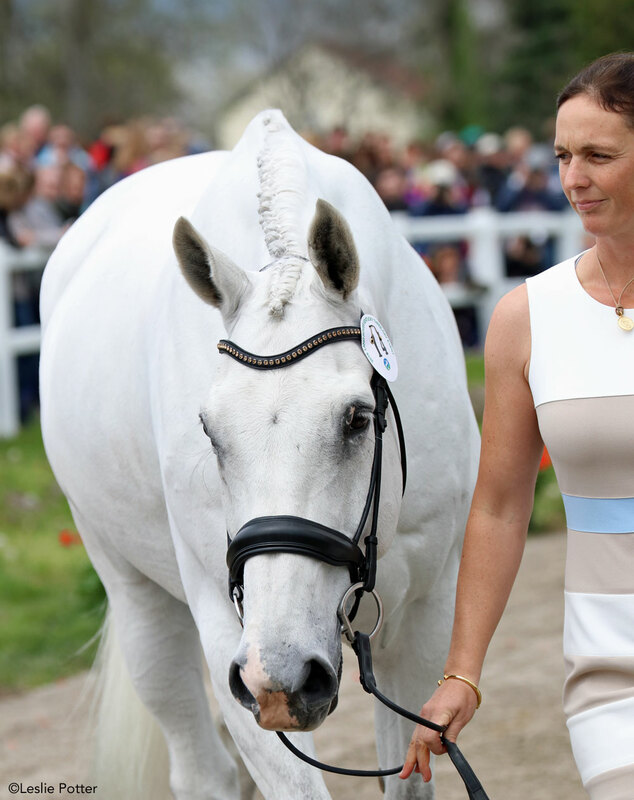 The first horse inspection is always a unique opportunity for attendees to see horses and riders up close and looking their best. Here are a few of the horses and riders from today’s jog. Ashley Johnson embraces the springtime look as she presents Tactical Maneuver. 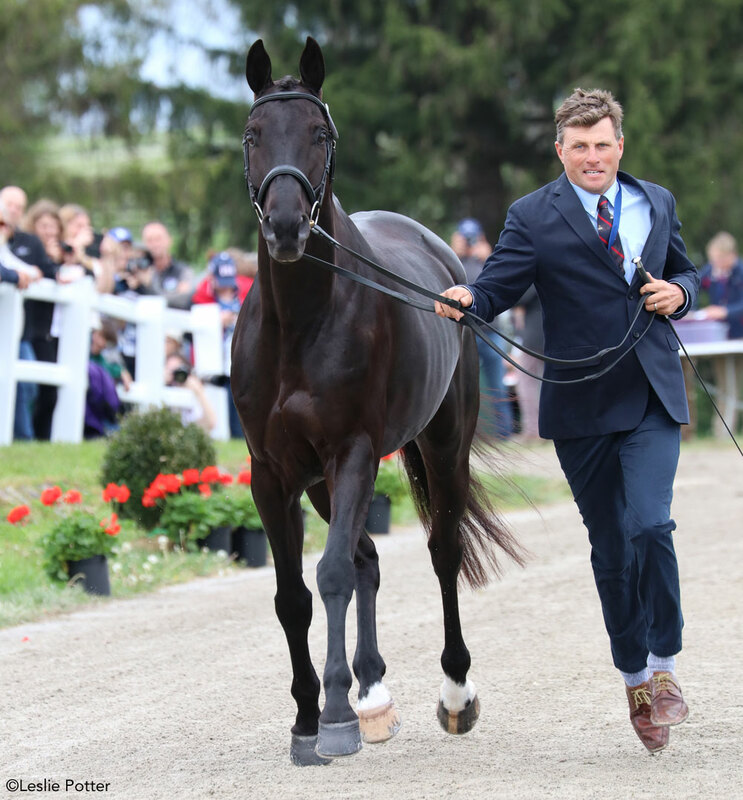 Expressive faces on Boyd Martin and Tseserleg as they trot for the ground jury. Martin will also be riding Steady Eddie this weekend. 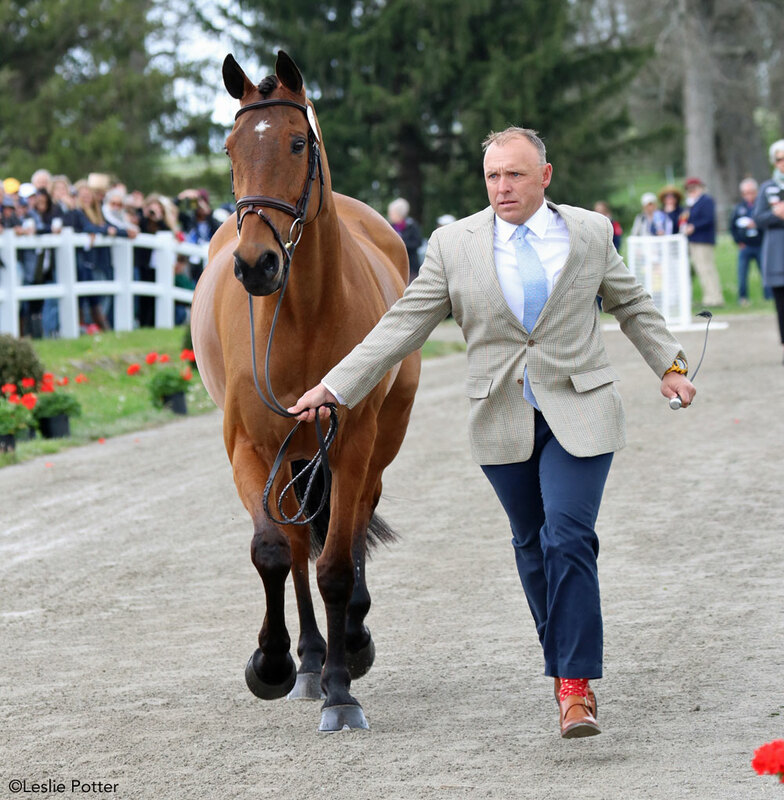 It’s not Kentucky without Buck Davidson and his lucky red socks. He’s here with Park Trader (pictured above), Copper Beach, and Carlevo. 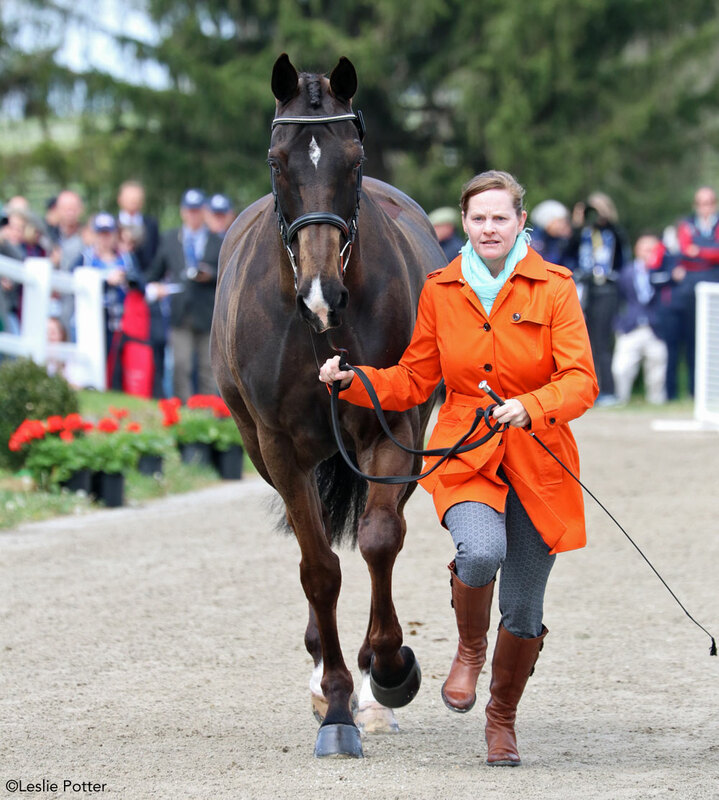 2016 Canadian Olympic Team member Colleen Loach coordinated colors with her Qorry Blue D’Argouges. 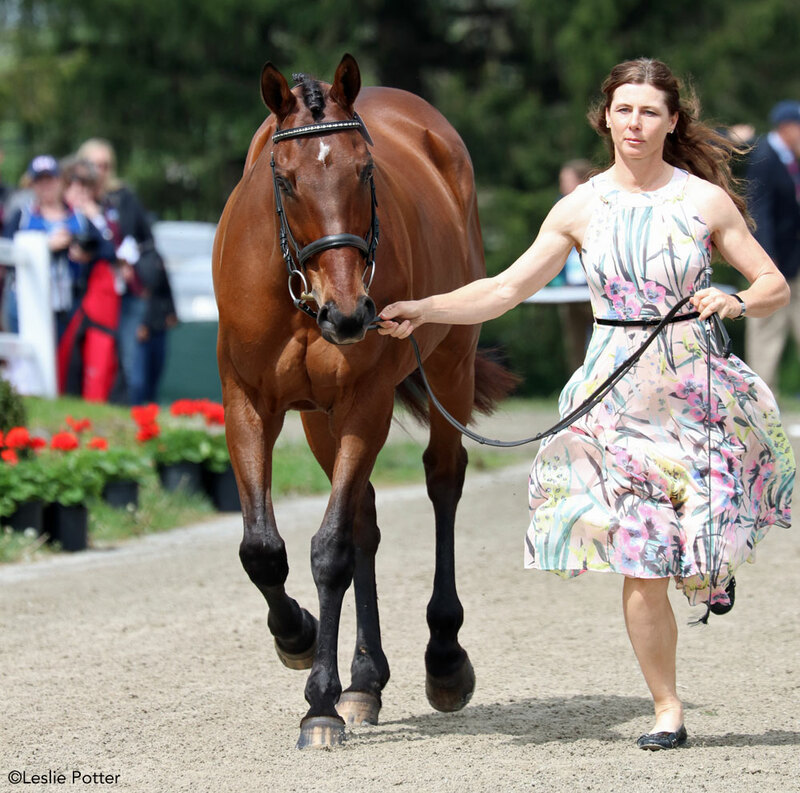 Floral and fabulous, Kentucky Three-Day Event veteran Elinor McPhail-O’Neal and RF Eloquence shine at the jog. 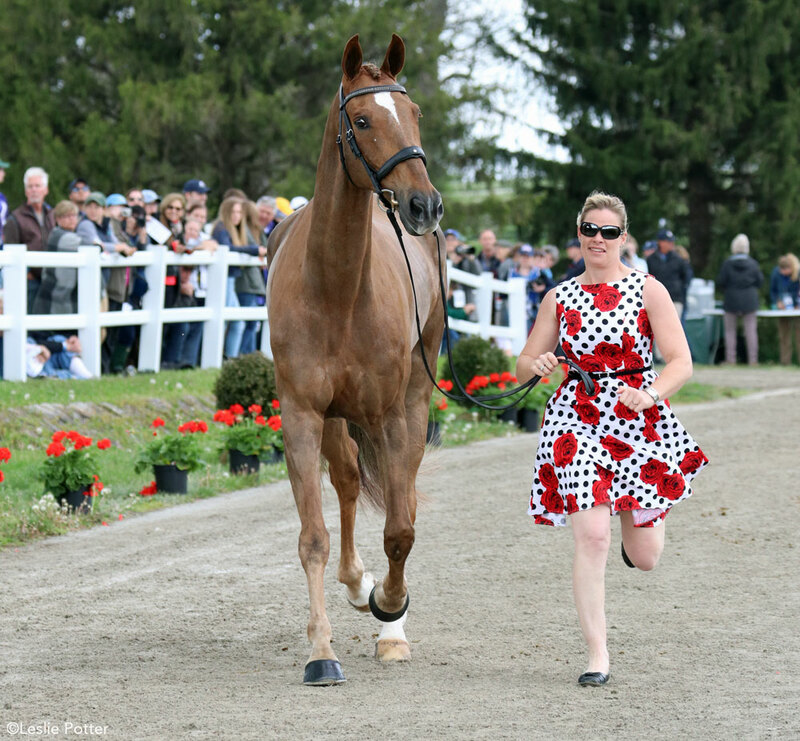 Ellen Doughty-Hume and Sir Oberon are total pros at the jog. 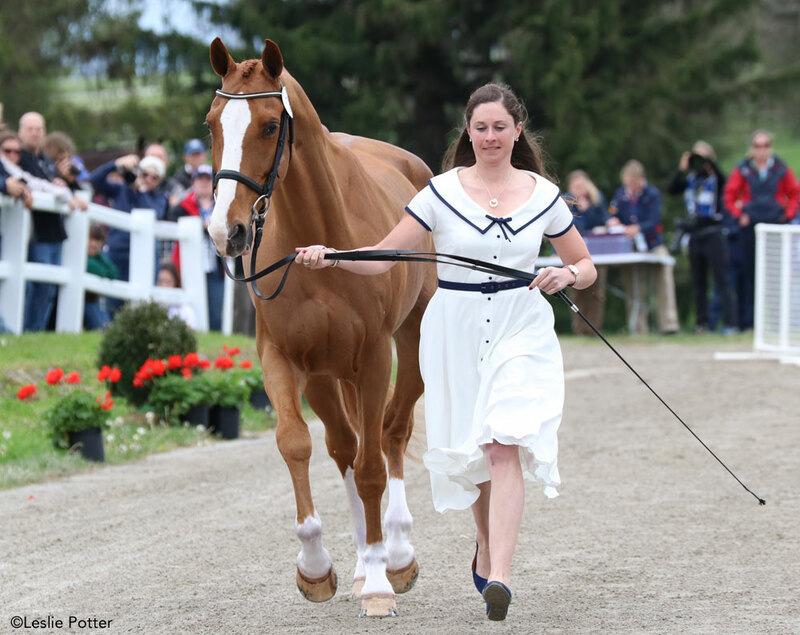 Canada’s Holly Jacks Smither and her OTTB More Inspiration look bright and ready for their second shot at Kentucky. High Times and rider Jennifer McFall made the trip to Kentucky from their home base in California. 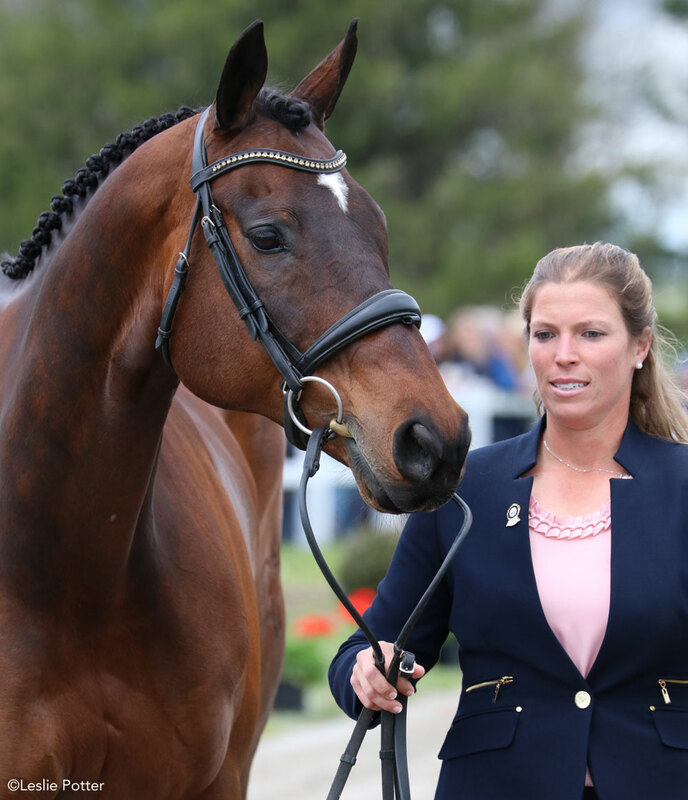 Kim Severson has won the Kentucky Three-Day Event three times in the past, with her super horse, Winsome Adante. 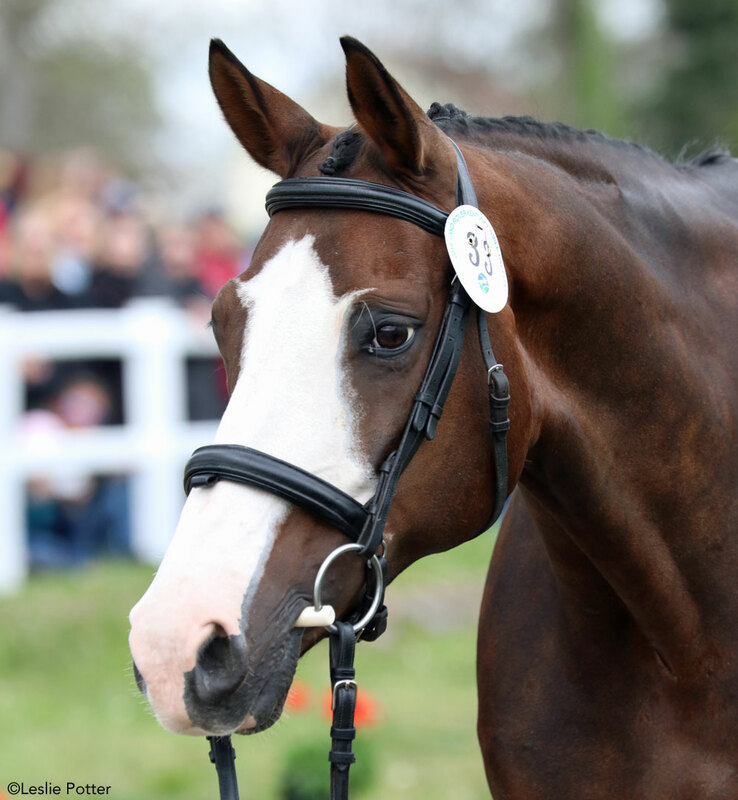 She’s back again this year with Cooley Cross Border, hoping to make it a fourth. Old-school style for Lillian Heard as she presents Share Option. Heard will also be competing with LCC Barnaby. 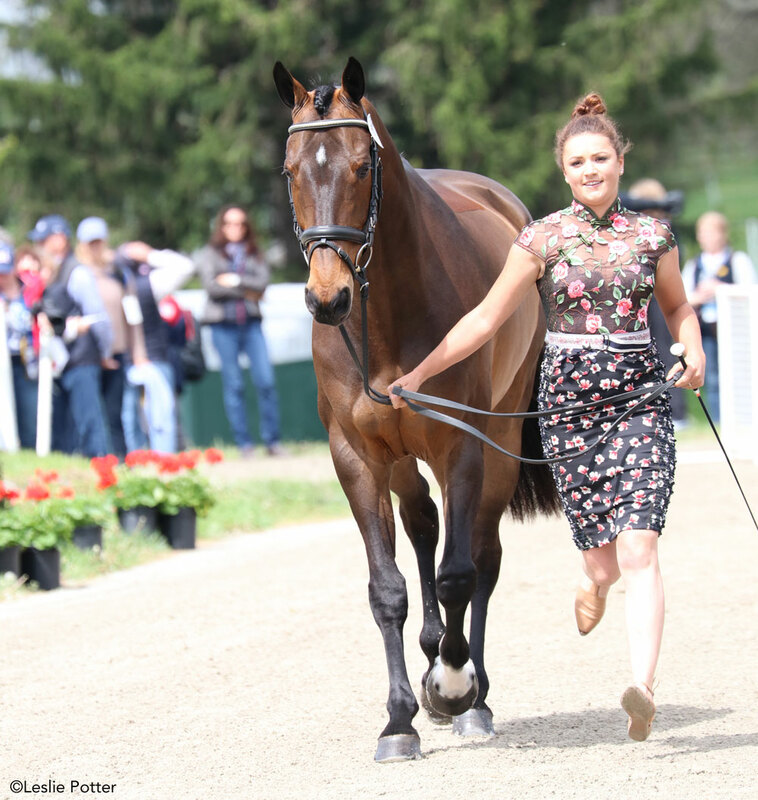 Canada’s Lisa Marie Fergusson goes for bold florals and retro polka dots as she presents her Welsh Cob/Thoroughbred, Honor Me. 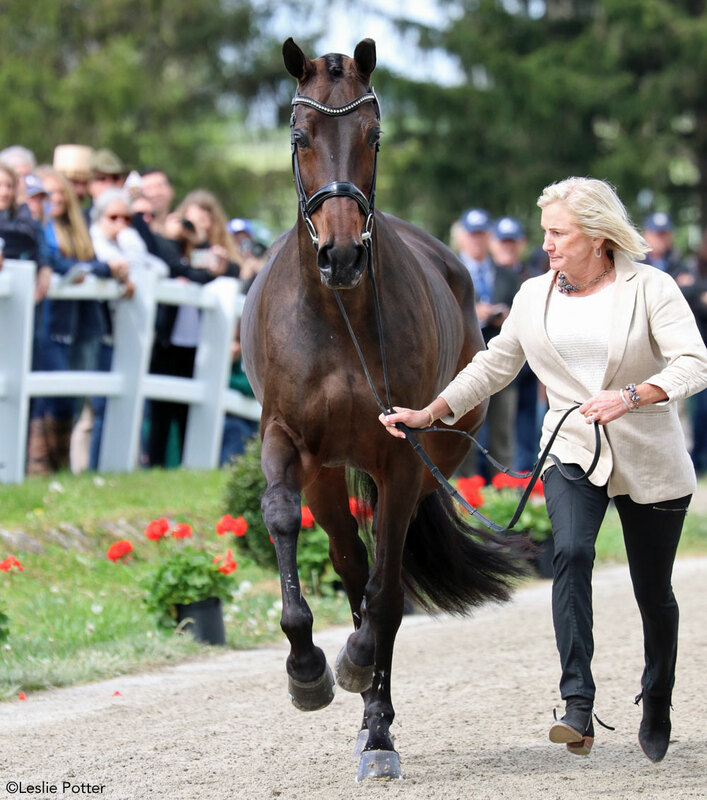 American eventing legend Karen O’Connor presented RF Scandalous for rider Marilyn Little. The returning champions from 2015, 2016, and 2017: Michael Jung and fischerRocana FST are hoping for an unprecedented fourth Kentucky win. 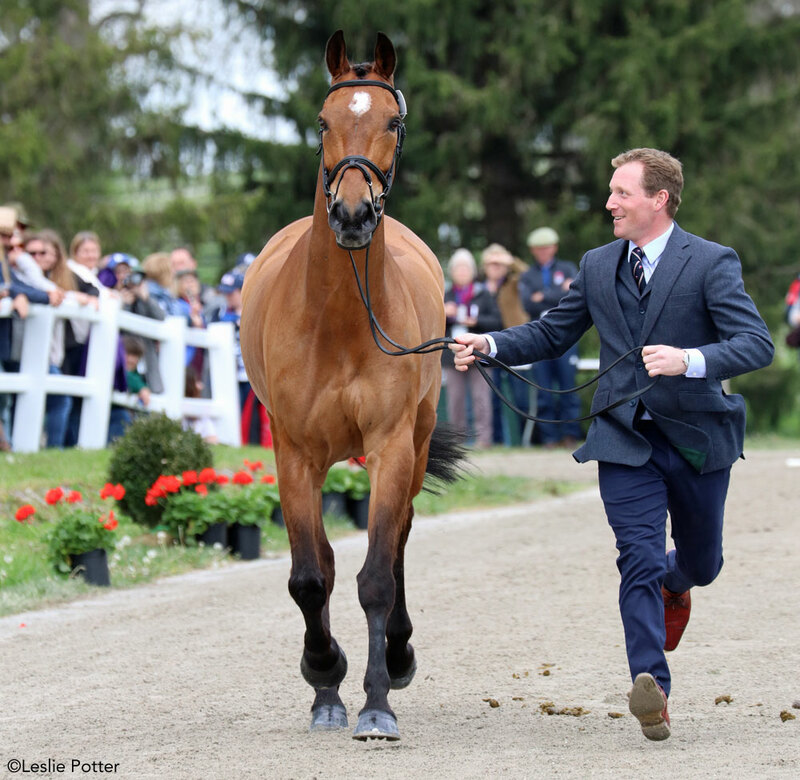 Oliver Townend (GBR) with Cooley Master Class, looks happy to be back in Kentucky for the first time since 2010. He’ll also be riding MHS King Joules. 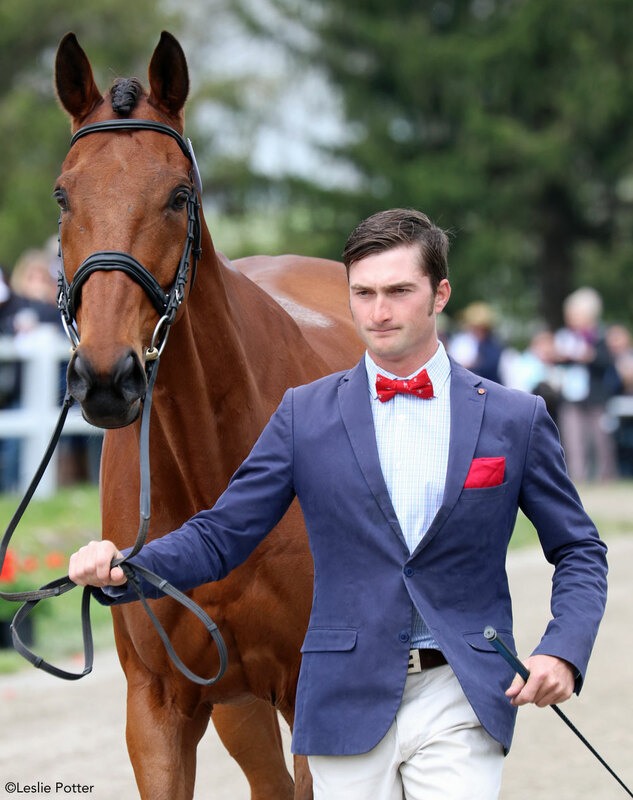 Banderas is making his Kentucky debut with Pawel Spisak, the only rider here representing Poland this year. 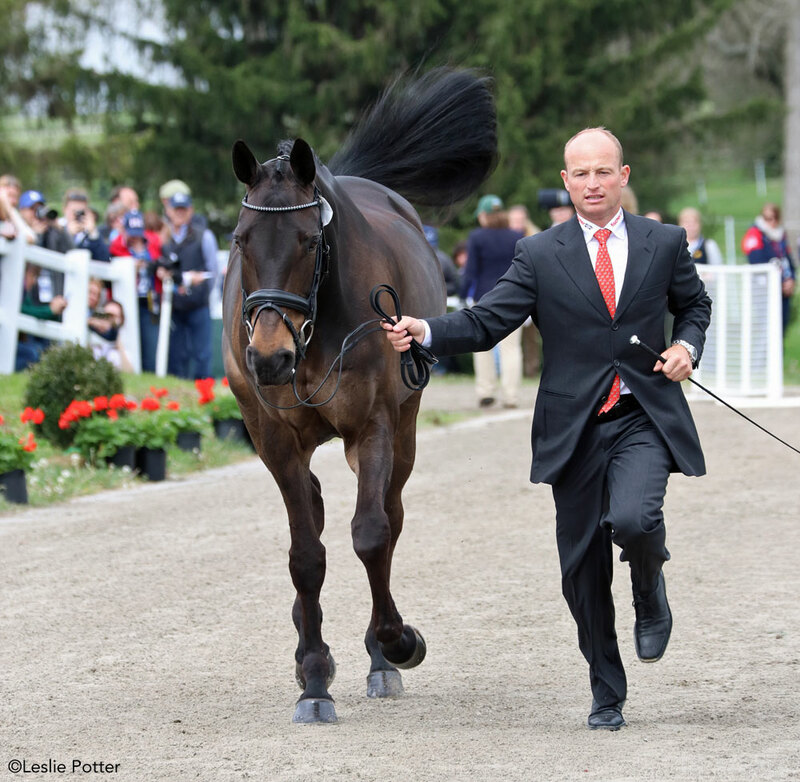 It’s been 10 years since an American won at Kentucky, and that was Phillip Dutton and Connaught’s year to shine. Dutton is here with I’m Sew Ready (pictured above) and a bright new hope at the four-star level, a horse named Z.